America is learning that the South China Sea is called the South « China » Sea for a reason, despite patriotic efforts in various nations to rename it the « West Philippine Sea » or « East Vietnamese Sea ». Take the immense uproar in January-February 2016 over the PRC placing surface to air missiles « in the South China Sea ». The report was floated by a source at the Department of Defense through Fox News, endorsed by a spokesman for Taiwan’s Ministry of National Defense, and was the impetus for a global round of hysterics predicated on the claim that the PRC was repudiating Xi Jinping’s pledge not to militarize islands in the South China Sea and was escalating « tensions » in the SCS. And, when Xi Jinping visited the US in September 2015, he stated China « did not intend » (something less than a pledge, despite some misreporting of his remarks) to militarize the Spratlys, which is the collection of virtually uninhabitable sandbars, reefs, and atolls whose sovereignty is claimed and disputed by almost all countries neighboring the South China Sea and serves as the focus of the PRC’s island-building outrages. He made no pledges, statements of intent, or other representations about the Paracels. The lesson of this affair is that the South China Sea is a remote body of water that Americans know little about and understand less. US China hawks have exploited this information deficit ever since Secretary of State Hillary Clinton rolled out the « pivot to Asia » in 2010, justifying the US injection into the South China Sea issue as a matter of ensuring freedom of navigation in a vital commercial sea lane in the global commons. It is taken as self-evident that the South China Sea is indispensable to world commerce because « over $5 trillion dollars » worth of goods, including the bulk of Japanese energy supplies, pass through the SCS. 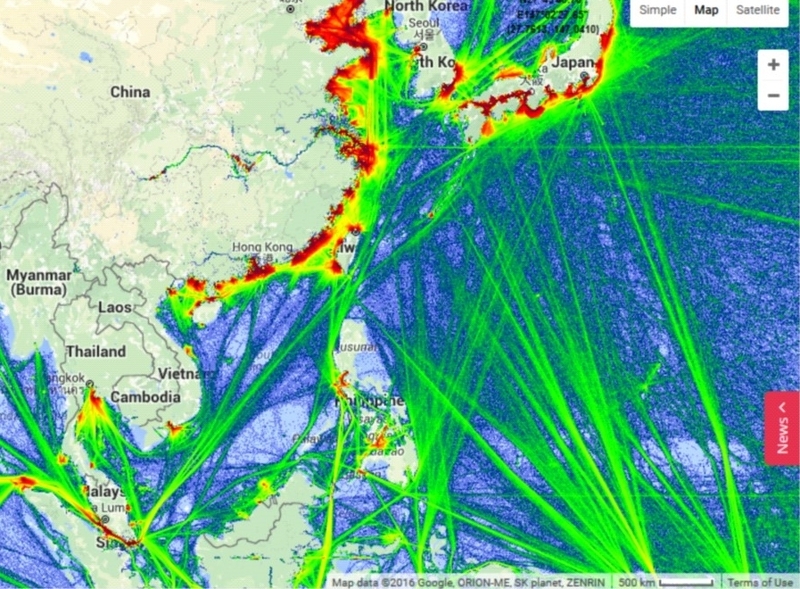 The strategic insignificance of the South China Sea to Japan and the Republic of Korea has been well known since the 1990s, when « energy security » became an explicit preoccupation of Japanese planners. In summary, the Malacca/South China Sea route from the Persian Gulf to Japan and South Korea is preferred as the straightest, cheapest, route for crude oil. In fact, ship owners looked at the economics and decided to defer construction of « postMalaccamax VLCCs » (Very Large Crude Carriers) in favor of smaller tankers in order to preserve the option of going through the Malacca Strait and South China Sea. 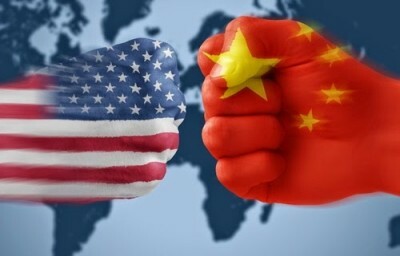 This state of affairs is probably better appreciated by China’s local trading partners in Australia, South Korea, and Japan than it is in the United States, and governments there are faced with the awkward question of how far to go with « upholding international norms » and « alliance service », i.e. supporting a U.S. containment strategy by antagonizing the PRC over the South China Sea, a body of water whose control is not a matter of existential interest to them, but is to China. At his press conference, Foreign Minister Wang Yi employed a litany of pejoratives to characterize the Philippines–« unlawful, unfaithful and unreasonable »-the role of the (unnamed) United States- » behind-the-scenes instigation and political maneuvering »-and the arbitration process itself- » tainted and gone astray, and China is not going to humor it ». Wang concluded with the statement « The PRC has never and will not make any new territorial demands ». Beyond the unfortunate echoes of Neville Chamberlain, I believe Wang’s words may have been intended as a signal that the PRC regards it infeasible to try to assert an extremely unpopular claim to exclusive sea rights in the contested regions of the SCS if, as expected, the cartographic embarrassment of the Nine Dash Line is declared invalid, especially since hawks in the United States Navy dream of standing between the PRC and the UNCLOS victors seeking to reap the bounty of their expansive South China Sea EEZs. As for territorial disputes, the United States has a long-standing policy, which is close to iron-clad, of not taking positions on sovereignty disputes. Indeed, the default preference of the United States is to « preserve the status quo », which would make evicting the PRC from the islands and structures it currently occupies extremely awkward, if not impossible. In recent months, the Pentagon has also stepped up « freedom of navigation » patrols in the South China Sea, sending United States warships and aircraft into territory claimed by Beijing to assert Washington’s view that these areas remain international waters and airspace. This strategy is encapsulated in the continued alarms that the PRC is « militarizing » the South China Sea, an accusation that the PRC, particularly after the US Navy sailed a carrier battle group through the SCS in early March 2016, is not inclined to take seriously. The focus on « militarization » is exemplified by warning the PRC not to announce a South China Sea Air Defense Identification Zone or ADIZ, which would require aircraft flying near and toward the PRC (including its contested SCS facilities) to identify themselves and state their intentions. 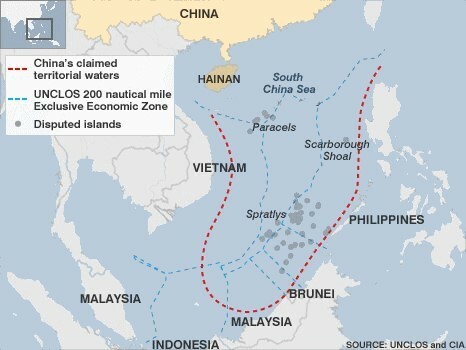 To knock down a frequently stated canard, an ADIZ is not a declaration of territorial airspace and the ADIZ of various nations can overlap, as the PRC and ROK ADIZs overlap in the East China Sea. One might think that the SCS, with growing military traffic by hostile powers, sorely needs an ADIZ to prevent misunderstandings, incidents, and escalation, but China hawks will try to advance the argument that in this case, as in many matters involving the South China Sea, ordinary logic simply doesn’t apply.